The Goal of Reading (and Basic Strategies for Achieving It) - Dave Stuart Jr.
A pivotal point in a reader's journey is when she realizes, either intuitively or explicitly, that the goal of reading is to obtain meaning. If we're not gaining meaning in a novel or a textbook or an article, then we're not really reading. You've not read something until you've understood it. When our students reach this understanding, it's as if something clicks into place inside of them, and suddenly the reading that we assign becomes much more effective at promoting their long-term flourishing because it makes them smarter and more knowledgeable and so on. It yields fruit. When a student reads to understand, each article of the week builds background knowledge, each textbook passage improves vocabulary, each poem becomes a possibility, each annotation becomes purposeful. 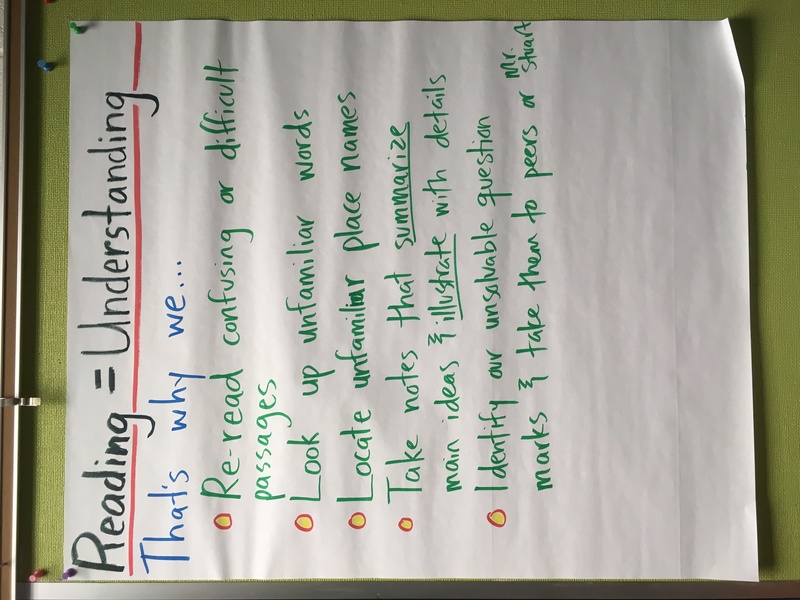 In short, understanding the goal of reading moves our students from Reading as Compliance to Reading as Learning — a critical shift. The goal of these things is to clarify for our kids what the goal of all reading is. That's a simplification that helps me teach. Willingham's “The Usefulness of Brief Instruction in Reading Comprehension Strategies” greatly informed this whole post. When our students reach this understanding, it’s as if something clicks into place inside of them, and suddenly the reading that we assign becomes much more effective at promoting their long-term flourishing because it makes them smarter and more knowledgeable and so on. It yields fruit. With so many of my students lacking historical and world knowledge, your weekly reading assignments make sense. I also think giving students freedom to choose one novel or book a year, so long as it uses higher-level vocabulary and is school-appropriate, is worthwhile. I never had the freedom to choose the books I read in school, and for many years reading was a drudgery. Great post – among many, but this one is pithy AND illuminating. How come you don’t have that twitter/facebook etc. connector icon on your site so I can tweet your articles out? I usually read your posts as emails, but came to the site specifically because I wanted to tweet this out. If it isn’t too hard or expensive, would you consider adding that capacity? I’m realizing I usually just forward your posts via email, but that doesn’t spread them as far. Thanks for all you do and for keeping all of us a bit saner. It should be over there on the left, Meredith! It’s showing up on my computer — but you are talking a fairly non-techy blogger so who knows 🙂 All I know is that I APPRECIATE you wanting to share and taking the time to write! Thank YOU!